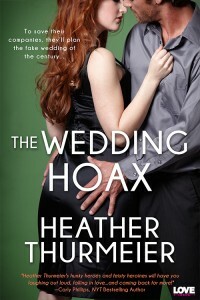 « The Wedding Hoax — Teaser!! It’s been a long time since I’ve been a part of a blog hop! And this one is huge! I hope you’ll all hop around to some or all of the other blogs on the tour. Don’t miss out on any great prizes! You can find the full list by clicking here: LIST!!! Every year the kids get a little older and Halloween becomes a little more fun! I love seeing how their personalities change over the years and how it reflects on the costumes they choose. Gone are the days of princesses. Now we’re into animals. Although, we keep trying to convince them to go as zombies. No takers yet. But could you imagine a little zombie running around the neighborhood?! Once in a while my husband and I dress up too. Though it’s usually him and not so much me. Maybe this year I’ll outdo them all make myself a zombie bride. That would be awesome! Speaking of brides… Check out my newest release THE WEDDING HOAX!! And it’s only $2.99! BEFORE YOU GO, ENTER MY CONTEST FOR YOUR CHANCE TO WIN AN EBOOK FROM MY BACKLIST AND A $10 AMAZON OR NOOK GIFT CARD! I love watching the costumes that come to the door. The young children with their parents who are going out for the first time. They are so cute. I love how excited my grandkids get, walking around and seeing all the people dressed up. I love seeing all the great costumes! Thanks for this amazing giveaway – I would love to win! I love seeing the different costumes when kids come trick-or-treating. I also like dressing up for costume contests. I enjoy seeing the cute little trick-or-treaters in their Halloween costumes. Thanks for the great giveaway! scary costumes. scary movies, scary haunted houses. Leave a comment and tell me your favorite thing about Halloween! Love to hand candy out to the children. Pumpkin spice EVERYTHING and stalking the amazing spooky book lists. I’ve found so many creeptastic books to read! I like seeing the costumes! My favorite thing about Halloween is all of the costumes, particularly the home made ones. I love taking my kids trick-or-treating! I like seeing all the great costumes that come to our door! I love the horror movies marathons. They get better every year. I love everything Halloween: the colors, the music, the decorations… oh, and the CANDY! An excuse to by candy. Then I forget to get home for Halloween and unfortunately have to eat the candy I bought myself. EVERYTHING! The costumes, the atmosphere, the spooks and scares, I love it all! My favorite thing about Halloween are all the great costumes! My favorite thing about Halloween is Haunted Houses. I love dressing up for Halloween! I love all the little costumes, especially the homemade ones or theme ones with an entire family. My favorite thing about Halloween is going to haunted houses. My favorite thing about Halloween is creating a spectacular costume. Carving pumpkins and trick or treating with my kids! I enjoy seeing all of the different costumes, though I think there were a lot more handmade and unique costumes when I was a kid. I imagine I will see far too many Elsas this year. I like the candy sales and costumes. My favorite thing about Halloween is the cute little kids in their costumes. I like the cooler weather and the little kids in their costumes trick or treating for their candy. I love the decorating and the candy corn!! The Candy. I love all the candy. Candy Corn is so yummy. I love just about everything about Halloween, except for pranks! I love the buildup to the holidays, pumpkins, decorations, kids in costumes, and we must not forget the chocolate 🙂 Thank you for participating in this fun hop. dressing up! love it that and the candy of course. My favorite thing about Halloween is the candy! I enjoy Halloween movies like Practical Magic. Every Halloween a bunch of us go to the midnight showing of RHPS (Rocky Horror Picture Show). My favorite part of Halloween used to be the candy, but now that I follow a strict paleo diet and can’t eat it, my favorite part has to be the decorations. The best thing about Halloween is candy for 50-75% off the day after. I love that it is the start of pumpkin chocolate chip cookie season! I love dressing up and seeing everyone else all dressed up. My favorite thing about Halloween is definitely the candy and seeing the fun, interesting costumes that people come up with. I love the costumes, the candy and the decorations. I love seeing all the kids in their different costumes! I like the candy especially chocolate. I love taking my children trick or treating. watching all the scary movies! I love seeing some of the unique and imaginative costume kids come up with. My favorite thing about Halloween is handing out candy and eating it. My favorite thing about Halloween has to be the caramel apples! Halloween candy!!! I also love the costumes and decorations. I have been part of the book blogging community for years now and my favorite part is sitting back and blog hopping with the Spooktacular Blog Hop that pops up through the years. I also enjoy the Fall chill in the air and the leaves turning yellow, browns, and oranges while I watch a good scary movie and might occasionally indulges in a big Snickers chocolate bar. Quite a lot of little things.